LRC relies on its volunteers to achieve its mission. Each year many local residents contribute countless hours to support fundraising events and restorative activities.Volunteering at LRC is a unique and rewarding way to serve your community and your neighbors. 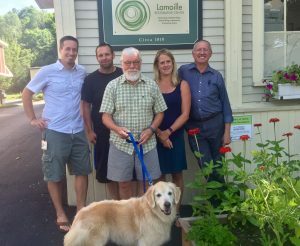 The two most satisfying parts of the work at LRC are the opportunities to work with the staff and volunteers, who are all deeply good people, and witnessing participants engaging in the restorative process and becoming more connected to their community. All interested volunteers should fill out this application form and then fax the completed form to (802) 888 -5400 or Bobby at bblanchard@lrcvt.org. Once Bobby has received your application she’ll be in touch to set up a time for you to visit LRC to talk about what volunteer opportunities are available and the process of becoming a volunteer.